I first heard about The Island while on honeymoon. We were staying at The Blue Palace near Elounda in Crete. It's a stunning location, with rooms scattered around a beautiful blue bay overlooking the island of Spinalonga. Spinalonga has a complex and fascinating history for such a small island. It was occupied by various people: from Arabs to Venetians, Ottomans to the Leper colony, the last group who lived on the island from 1903 to 1957. People suffering from leprosy were sent from all over Greece. It was an isolated life where supplies were sent across from the mainland village of Plaka by boat. For several evenings, we would sit and contemplate the shadows of derelict ruins from the comfort of our favourite fish taverna in Plaka. It was hard to imagine what life was like in the leper colony, even when we took the tour around the island. 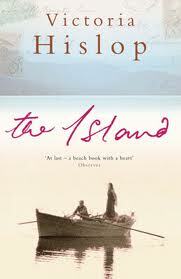 Victoria Hislop was also inspired by the story of Spinalonga. In The Island she tells the tale of a family. Alexis is about to go on holiday with her fiance. But she has nagging doubts: about her relationship and about how little she knows about her mother's Greek family. It is only when she asks Alexis to take a sealed letter to an old friend in Plaka that the story of her Cretan relatives unfolds. The Island was published to great acclaim, remaining at the top of the book charts for weeks after it secured a place on Richard and Judy's Summer Reads. She certainly paints a vivid picture of the isolation of the island and the stigma attached to leprosy. However, I found the pace pedestrian at times. When the plot covers a longer time span you lose what is powerful about the book: Hislop is best when she homes in on the claustrophobia of life on Spinalonga or in Plaka. An enjoyable - but not perfect - summer read.